Thee Holy Mountain V2 is an expansion on last year's ascent into the rarified air of wy'east. blending gravel, forest path, loamy trail, downhill singletrack and historic wagon road, the v2 is broken into big and epic route options for a spirited romp through the lesser known byways of mount hood. by the numbers, the epic full ride features over 19 miles and 5570 feet of sustained descending in a single shot from the silcox hut to zigzag. 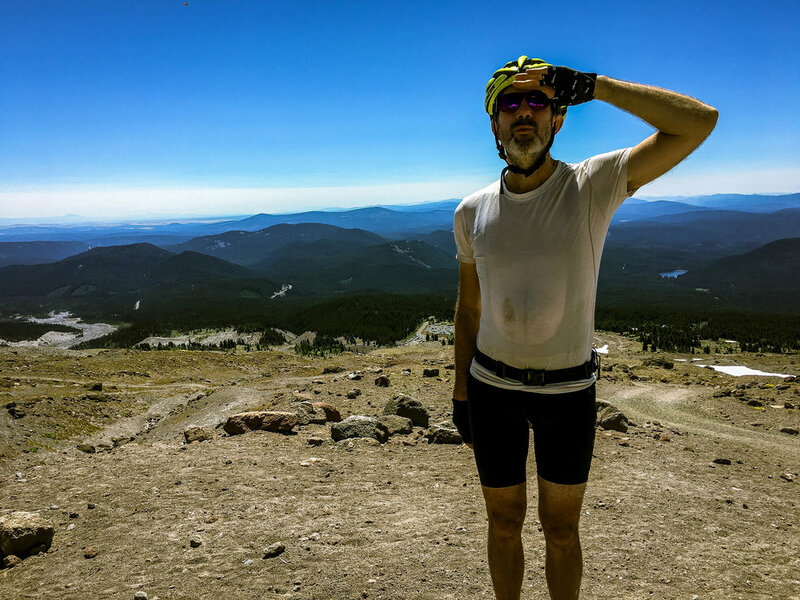 Thee Holy Mountain V2 has been revamped for 2017 to include bits of the historic Barlow Road, a full climb to Timberline Lodge, Timberline to Town trail and an optional extra-credit loop to the Silcox Hut climbing to nearly 7000 feet. Both route options start + finish at the ZigZag ranger station located at the intersection of Hwy 26 and Lolo Pass Road. As with previous rides, both the BIG and EPIC route options share a common front end which climbs from ZigZag to Trillium Lake via Still Creek Road, continuing to climb Kinzel Lake Road to the seldom ridden Dry Fir Trail. Riders skirt the west side of Trillium Lake via singletrack en route to the historic Barlow Road, the original wagon route of the Oregon Trail, much in the same state as it existed in the 19th century. The routes diverge upon crossing 26, however riders will meet again along the Camp Creek Trail as EPIC route riders climb eastward, while BIG route riders descend westward, crossing paths along the same trail. The EPIC route continues to climb West Leg Road to Timberline Lodge where there is an optional extra-credit challenge of climbing an additional 1000 feet to Silcox Hut. The grades are punishing, the road surface loose and sandy but the views and subsequent descent make it worth every pedalstroke! Again, as with previous rides, the two route options reconvene at the Crosstown Trail above Government Camp. Be aware that the segment of Pioneer Bridle Trail between Crosstown Trail and Hwy 26 is very rough, rocky and quite loose in spots. Those on CX bikes will need to choose their lines very carefully. Once on the south side of 26, Pioneer Bridle becomes much smoother for the remainder of the descent to Rhododendron.Though only the BIG option is shown routing via Glacier View and Kiwanis Camp roads to bypass some of the rockier/rougher sections of the Pioneer Bridle Trail, of course riders of both versions can elect this option.